It seems like mobile phone companies have been on the brink of offering us in-display fingerprint readers for years. The brand new Vivo X21 is the first ever smartphone with an invisible fingerprint sensor that you can actually buy. This is one of the standout features of the device for a very solid reason. The Vivo X21 does not have a visible fingerprint sensor like the ones you see on mid-range to high-end smartphones these days. It uses an optical sensor fitted just under the display to read your fingerprint and unlock the phone. This essentially makes the scanner invisible and brings the overall device design one step closer to the button-less smartphone of the future. Activating the fingerprint unlock feature works the normal way – you have to go into Settings and register your fingerprint. You can add up to 5 fingerprints. Once that’s done, you’re all set up and ready to go. The scanner works by peering at your print through the pixels of the Super AMOLED display. So it takes about a second to unlock the device. The trick is not to press down hard on the screen to smoothly unlock the phone, but to give the scanner about a second to recognize your fingerprint. It never failed to read our print once we figured out that poking forcefully on the display was the wrong way to go about unlocking the device. There’s only one spot you can touch to unlock the phone. This area lights up with stylized graphics when the phone detects movement. With the fingerprint sensor on the front, you don’t have to pick up your handset to unlock it. It’s also more easily accessible as compared to a rear sensor when the device is mounted. Vivo could enhance the experience by introducing some sort of haptic feedback. With all the resources mobile giants like Apple and Samsung have to pour into R&D, it’s surprising that such a feature has been absent from their devices. It feels like the most intuitive way to unlock a phone. 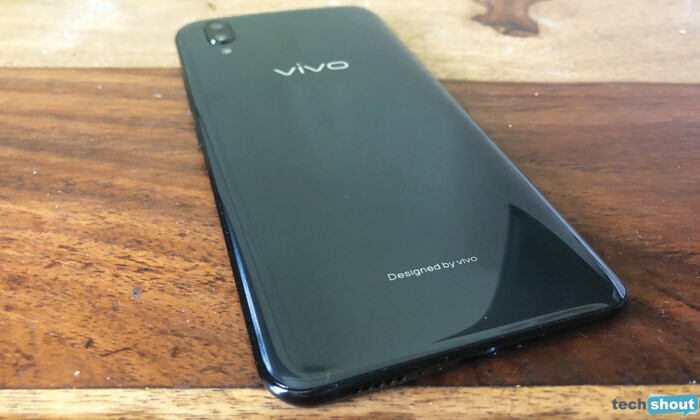 It took a company like Vivo to make a handset with an under-display biometric sensor commercially available. The octa-core Qualcomm Snapdragon 660 chip in combination with 6GB RAM and Adreno 512 graphics works really well to provide an optimal gaming experience on the Vivo X21. We discovered that even resource-heavy titles like Asphalt Xtreme and DC Legends couldn’t trip up the phone to any noticeable extent while gaming. On top of that, Vivo’s thrown in a few additional tricks to ensure that mobile gamers will love the X21. There’s an AI Gaming mode to avoid triggering accidental touch operations while playing. This intelligent mechanism also makes certain adjustments to the processor to match the performance and game’s resources. This brings us to the battery life of the X21. It’s one of our favorite things about the device. We rarely had to worry about running out of power because the 3200mAh battery inside it is very efficient. In our most recent test, we played YouTube videos over Wi-Fi at full volume and brightness for 2.5 hours. It took up just 35% of the battery life. In case you prefer more than one option to unlock the X21, it also features face unlock which is blazing fast. It smoothly unlocks the phone faster than you can blink even when you’re looking at it from a slight angle. In low light, the light emanating from the screen onto your face is enough to aid the unlocking mechanism. One of the highlighted aspects of the cameras on the X21 is their dual pixel sensor technology. The front and back cameras are 12MP (24 million photographic units). Each pixel’s photographic area is as large as 1.28μm, offering enhanced picture clarity as well as quick auto focus. We’re talking DSLR-level tech in a smartphone here. Vivo has been putting a lot of focus on social media savvy users with the last few smartphones it launched. The X21 is no different. It has a Face Beauty mode which works when you click a photo or even take a video. This helps shorten the editing process, especially for users who want to quickly churn out videos to upload online. Another handy skill that the camera app boasts of is AI Scene Recognition. Vivo says that it can identify up to 18 tags and 140 different scenarios including food, plants, people and so on. Based on this, the system then automatically adjusts the saturation, brightness, contrast and other settings to the optimal level. 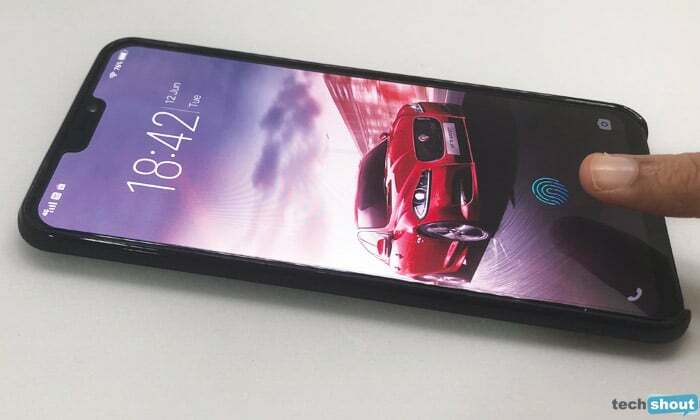 The design of the Vivo X21 is a sight for sore eyes. Its glossy body is all metal and glass. 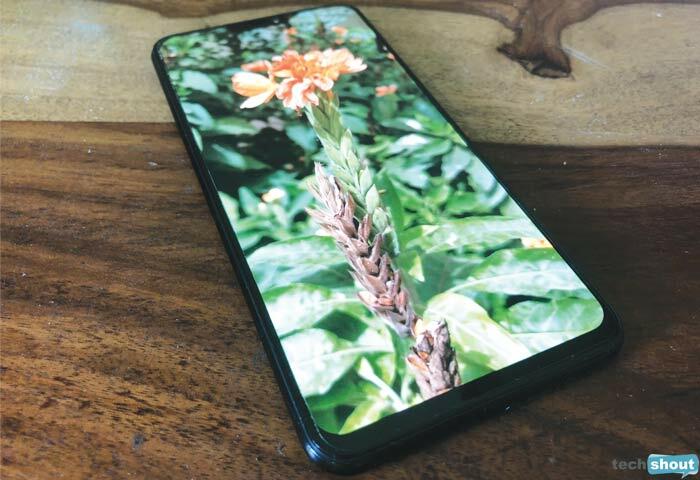 The front is taken up by a lively 6.2-inch Super AMOLED display in the 19:9 aspect ratio and 2280 x 1080p resolution. The dual rear camera and flash take up minimal space along with the Vivo logo. Overall, the X21 looks premium and chic. The Vivo X21 is available online through Vivo India’s website as well as on Flipkart. It carries a price of Rs 35,990. You also get an additional discount of Rs 2,000 along with the normal exchange amount when you trade in an old smartphone.